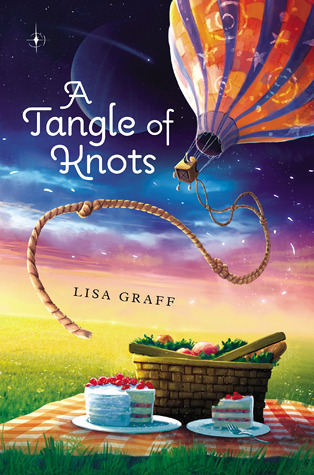 A Tangle of Knots by Lisa Graff is spectacular! I loved this book from the first word to the last. It is different strands of one intricately woven story! Each chapter gives you a look at one character and how they deal with everything going on around them. As you read, those seemingly unrelated strands get tangled together to give you the perfect blend of life. I can't say too much because even the slightest tug of the wrong string can unwind this perfect set of knots, and it's definitely something you need to read and discover for yourself! And, always remember: "It's the way we deal with what Fate hands us that defines who we are."